- STEC - 55X with STEC yaw dampner, and altitude pre-select. Over $50,000 installed. - KCS-55A Slaved HSI for #2 nav. - Three attitude indicators. One electric on right side. One electric plus one air on left side. - Known Ice certified with all new boots in 2006. Still shine like new. No patches. Heated windshield strip in Fair to good condition. - RAM VII engine conversion. 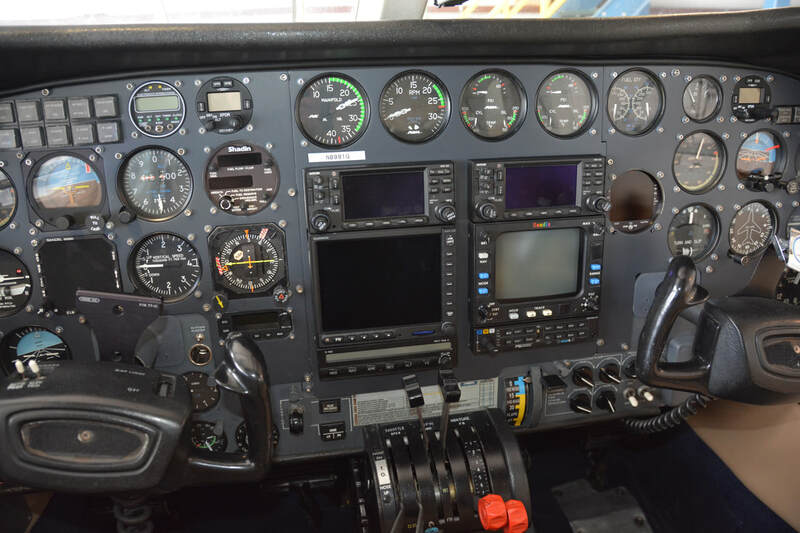 Cost $185,000 which includes everything new or overhauled firewall forward, new engine and prop cables, new engine gauges, overhauled Hartzell three blade props, etc. - Wired for Bose as well as standard two prong connecters at all six seats. - Rear dedicated power receptacle to charge phones, Ipads, etc. Paint is in very good condition. There are some touch up spots which are visible if you look close enough from about five feet away. Interior is also in very good condition with leather seats and ultra suede headliner. Glass is in very good condition with the exception of the hot plate, which is in fair condition. - Left crossfeed pump overhauled in 2007. - All deice boots replaced with new in 2006. Shines like new. No patches. - 6/3/2004 log entry shows some nose gear parts replaced which could indicate possible damage. However, nothing else was stated and this was done when the Ram engines were installed. So could have been something done because someone felt is should be done. ??? - 2004 RAM VII conversion done. - Even though the plane primarily sat for the last 8 years, it had some activity, and the annuals were always done on time during this period. - The plane has flown about 30 hours since the inactive period with no negative results. This is a very low time RAM VII 340 with excellent and complete logs and maintenance history. Compressions at last annual were all in the mid to upper 70s with normal oil consumption and no oil leaks. The plane was flown minimally in the last 8 years. 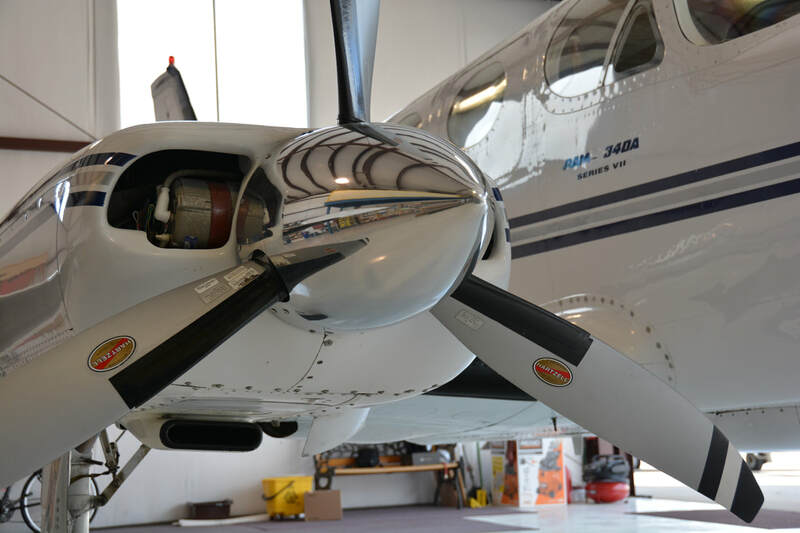 A comprehensive corrosion inspection was done including boroscope inspections of both engines. 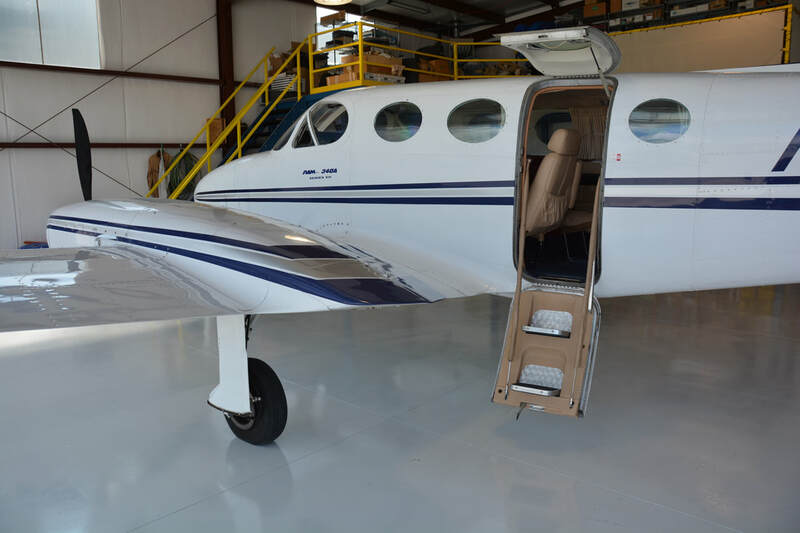 Even though the airframe was factory corrosion proofed, there was no corrosion on the exposed non treated parts, and engine boroscope inspection showed none. We also did an oil analysis which came back with good results and comments said the engines were fine and were what you'd expect when not being flown enough. Further flying should improve the results even more. Logbooks are some of the best I've ever seen. Log entries indicate the plane probably has spent most of its life in Washington, Indiana, New York, and now Colorado. This 340 will carry 1040 lbs in the cabin with 166 gallons of fuel, and cruise climb at 130-140 IAS and 1,000 fpm all the way into the flight levels without overheating. With 200 gal fuel, payload will be 800 lbs. Pressurization holds very near to the published numbers.